The Gathered Soul: A Collection of Your Cosmic Influences and Sacred Rhythms is the first journal of its kind. Made specifically with flexibility in mind, this wire-bound book offers you a singular place to record your dreams, signs, affirmations, cycles, and life experience–in your terms. 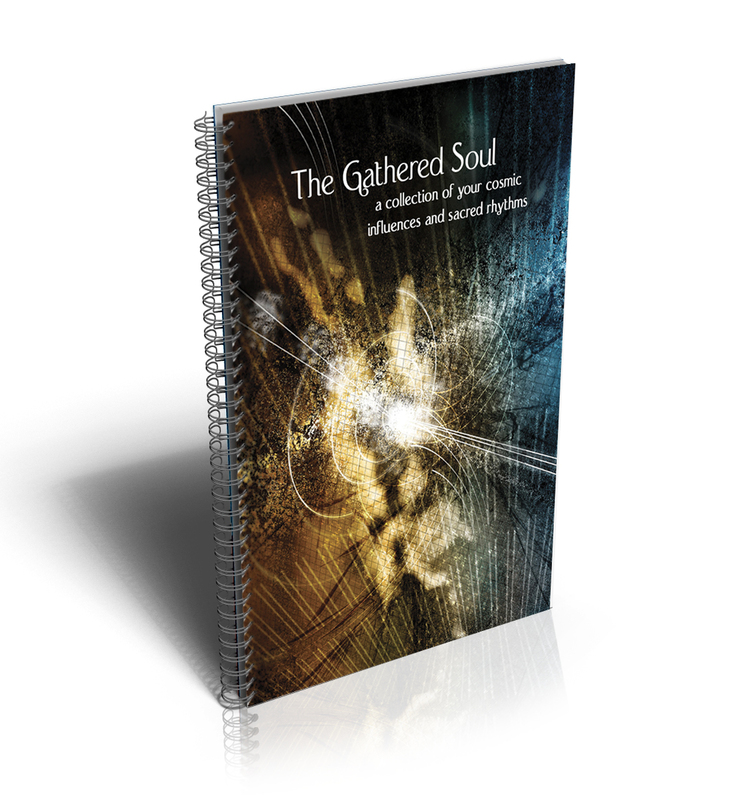 The Gathered Soul includes one hundred and eighty pages of guided input space, as well as plenty of variables in how to use each field to your own tastes. Whether your leanings are esoteric or natural, astrological or tarot-related, New Age or mystic, devout or casual, or any combination of the above, there’s room here for your own individual system. There is no wrong way to use this journal. Just as in life, it’s up to you to find your own path. This journal was conceived by Cathy Lynn and is published as a joint project between Smash Cake Press and Cathy Lynn Tarot. Preview the interior pages by clicking here.